Today we saw our future monarch married and the British public celebrated. A happy day for all those involved. One fact I noticed was that the Royal cleaners union PCS, was calling on the Royal family to support the cleaners call that they should be paid a living wage at the various palaces in London, currently cleaners are paid £6.45 a hour, the London living wage is £7.85. As the royals prepare for the prince’s lavish wedding on Friday, our members are being treated like paupers. The royal family is seen as a major contributor to the tourist industry and many people visit London specifically to see the palaces. We’ll be asking them to show their support for the people on poverty pay who keep these palaces clean. A little joy will go a long way, so lets hope the cleaners are successful. • A Treasury health settlement that "represents a substantial challenge to the NHS given expected demand growth". • Significant inflationary pressures noted in projections by the Office for Budget Responsibility before the 2011 budget. The problem for the NHS is it is conducting a top down fundamental restructuring and inflation is higher than expected, this a cocktail that leaves the Prime Minister promises on the NHS in tatters, just another broken promise. A good day to release this data, as we celebrate a happy day for a young couple. The Alternative Vote (AV)debate seems to be getting more fractious, this wholly the responsibility of the coalition government, they were in too much of a hurry with the legislation and too slow explaining AV. From my canvassing it is clear that the majority of people do not understand the Alternative Voting System. Adding to the confusion was the reduction in MPs from 650 to 600. MPs are elected by the people, and can be removed by the people. Mr Cameron wants to reduce the costs to you of MPs by £12million a year(,reduction in MPs from 650 to 600) jolly good I hear you say. The same Mr Cameron has increased new peers (Lords) by 117 since last years General Election this costing £18.25million a year, so in round terms parliament is costing £6.25 million extra a year, so the constituencies can gerrymandered and the Lords stuffed with Cameron's friends, and YOU can pay for the privilege. Just a little more double speak. Mr Cameron. So to AV, the Conservatives and Lib Dems are contriving a synthetic falling out, all this pretty distasteful to me, the Lib Dems trying to develop a yellow strip between themselves and the Conservatives to shore up their electoral chances on May 5th. My appeal to the Pro AV and the Anti AV is to stick to the facts, engage with the voters, without this engagement the Yes campaign has no chance. “There’s a clear problem here, and at the very least, it’s to do with phasing. By making the economies very quickly, a number of local authorities will feel that they have to cope with almost all the redundancy costs which they face in the short-term, rather than being able to capitalise them over a much longer term. And they have their statutory obligations, clearly they feel more pressured to cut from voluntary sector support than they do from some of their core services. Now some people will argue that we need to try and change the way in which local authorities prioritise so they don’t cut back on the voluntary sector disproportionately. But the best way, in my view, that government nationally could help local authorities in that direction would be to allow for things like more generous capitalisation of redundancies and for the more generous phasing of economies, recognising that economies must be made. If the economies have to be made at a very rapid rate, then it gets very hard to do this. So leaders of both the Conservatives and Lib Dems have it, they've cut too hard and too fast, this is a leading Lib Dems lords view, will their local candidates see it that way? The local elections are well and truly underway, officially over a week and despite a dodgy ankle, I can report that the reaction on the doorstep is better than any time in the last three elections. There is the usual mixture of local and national issues. The most notable in this election is very few are mentioning the Liberal Democrats in terms of support, although many have commented on Nick Clegg and from our canvass we appear to be picking up support. I am always cheered by the positive way campaigners are welcomed even by people whom clearly do not support, or are disturbed eating or other more important personal matters. Anyway, hundreds of houses down and many more to come, I am enjoying the discussion on Shepton's future, and thats what these elections are about, how Shepton moves forward. I spent my life in Shepton, attending Waterloo, St Paul’s School and Whitstone Schools. I have been lucky to work in Shepton since I left school. I have had the privilege to represent Shepton Mallet as a Town Councillor and being Chairman on two occasions. For the past four years, I have represented the Town Council on the Citizens Advice Bureau management committee and the In Bloom Committee; I also chaired the Cenotaph enhancement scheme. I am a governor at Whitstone school, I have just become the chair of the Leisure Centre Committee, learning about the investment required at the centre, and this will be very challenging in the coming years. The most important qualities of your representatives must be reliable and most importantly honesty. I have had a very good attendance at Town Council, unlike Conservative members forcing four by-elections in the last four years at Town, District and County Councils. Twelve months ago at the General election, all political parties were opposed to cuts in frontline public services, opposed VAT increases, opposed hikes in Tuition fees and cuts to the Educational Maintenance Allowance, no Party supported the top down fundamental reform of the National Health Service, all these proposals were never put to voters. These were the hidden agendas of the Conservatives and lib dems. As of the 5 April 2011 the average family will be £1736 worse off because of tax, tax credits changes (i). I genuinely believe in locally accountable affordable housing, I am deeply depressed by the governments housing policies; cuts to public housing building grants, housing benefit changes that effect single under 35 year olds and forcing local housing providers to charge 80% of the private housing rates, with less secure tenancies, a safe secure home should be a human right and is the basis of security and freedom. That is why I will work to achieve more affordable housing for Shepton. The most pernicious cuts this government are making is to legal aid, this will effect people with complex housing and welfare problems, those with employment tribunal issues, giving vulnerable people less protection against powerful people and agencies. Justice should be for All. In Shepton there is a real challenge to improve the educational attainment of our young people; the focus has to on raising aspiration and improvements to teaching and learning. I believe schools should work together sharing expertise, I reject this governments policies on free schools and opting out from the local authority family of schools. The OECD has stated that the Education Maintenance Allowance is good for economic growth, yet the Conservative and Lib Dem government will cut money to young people of modest income. Young people have been at the forefront of the government cuts, with tuition fee increases, cut to EMA, Future for job fund, locally we have seen 75% cuts to the youth service, 100% cuts to the Arts. Young and old will be affected by the cuts to local bus services, Shepton effectively cut off after 6.00pm in the evening and on Sundays, your local County Councillor must find a solution to this, we must also re-route a Bristol bus through Shepton. Central government has also cut the subsidy for bus pass users from 64p a ticket to 32p, a further cost of operating bus services. Why is it Shepton Police station has been closed? This is a frontline service that no other Town will endure in the Mendip district, the County Council has cut it’s funding for the PCSO by virtually 100%, this will have a negative impact on policing in our community. I remember standing in the cold last New Years Eve with people queuing to sign the Town’s petition to Save our Library, there was an universal revulsion of the loss of our Library, Shepton spoke as one, Libraries should not be closed, free access to books is essential in a civilised society, despite this victory, there is still a 20% cut in this vital Shepton Library service. We have seen countless cuts made at brake neck speed, with little consultation and no planning, these cuts are like watching a car crash, slash and burn forced by the government grant settlement, these cuts will be seen to be too hard too fast. Whilst our services are being culled, Somerset County Council is employing a Consultant at £800 a day for six months. I want to see the regeneration of the High Street; the District Council has sat on a budget for an Urban Design Statement for three years, now this study is complete this has to followed through with ruthless efficiency, in those lost three years countless opportunities must have been missed. The Urban Design statement includes resurfacing of the Town Street area, improved lighting, better street furniture and more events to increase footfall, I would add better business support is required. The Little Ostry and Petticoat Lane area needs to be regenerated, Councils should use all the tools available to them to get this area developed, the Conservative administration was criticised by the Audit Commission for their planning service not helping our local economy through the recession, Little Ostry is a classic example. Mendip and the County Council need to be more active in the growth of new businesses, including land for business units and employment. Shepton has a wonderful landscape, the canopy of trees and green spaces, planning decisions needs to respect Shepton’s environment, that’s why I will work to defend the green areas at West Shepton Playing Fields and the Showfield at Cannards Grave Road. New housing has to fit sympathetically within the environment. My promise to the elector is simple, I will work hard for you, I will put Shepton first, and I will work with other councillors of the elector’s choice and most importantly the residents to make Shepton better. A month today the elections will be over. Here in Shepton we have Town, District and a County Council byelection. A year ago at the general election in Shepton the Liberal democrats convinced people to vote for their candidate to rid ourselves of the incumbent Tory. 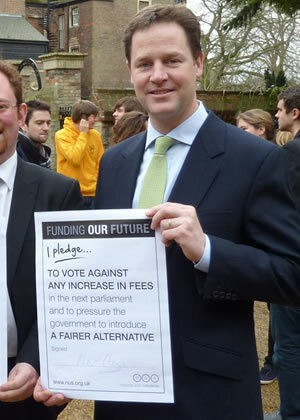 The Lib Dems promised a new politics, they were certainly 'new'. Within a week, the Liberal Democrats had supported a Conservative government a government that Gregory Barker a minister of state, said were making cuts that "Mrs Thatcher would of dreamt of" and they reneged on their promises on Tuition fees, Educational Maintenance Allowance and increases to VAT up to 20% and deep cuts to frontline services. The best the Lib Dems could do on electoral reform was what Nick Clegg called 'a grubby little compromise' AV, which is neither fair votes or proportional. Coupled this with a boundary changes to reduce the commons by 50 MPs, the figure that effected the Conservative and Lib Dems least and Labour the most, real new politics these! So to the current elections, the choice is now between a governing coalition and Labour for the County Council division, only a vote for Labour will deliver real change. Why was Shepton so ignored for years when we elected a Lib Dem at the County Council and a Lib Dem Council? Again at the District Council, why has the Lib Dems offered so little alternative to the Conservatives? We need to change the culture at Mendip, more of the same will not do, councillors who cannot agree or even work together, the best solution is to remove both and elect Labour councillors who will work to change Mendip to a listening responsive council. So when your told this candidate or that candidate can or cannot win, vote positively, vote for change, real change, don't let lightening strike again because a con job is still a con job even it's conducted by a lib dem! The idea that anyone should dream of making deep and far reaching cuts to public spending at the cost of millions of people that rely on those services is profoundly disturbing, yet those were the words that a Conservative minister chose to use describing what the Conservative led government are doing this year. The Organisation for Economic Co-operation and Development (OECD), has cut the expected rate of growth in this country to 1.5% for 2011, with the spending cuts being sighted as a reason for slowing growth. I have written many times before that the government cuts will make things worse. They push up unemployment, make people fearful about the future (therefore reducing spending – the main driver of the economy) and they reduce overall confidence. This causes a downward spiral since businesses suffer as people don’t spend, they lay off workers and reduce investment: the economy suffers even more. Despite the deepest recession since the 1930's the OECD states clearly the country debt is 12th out of 29 countries with only one member of the G7 group has a lower national debt, this despite Labour's spending to defend jobs and family expenditure between 2008-10. The OECD report on growth interim assessment of the G7 economies today forecast faster growth for the American, French and German economies that has not produced austerity budgets, and this country slower growth, with only Japan with slower growth. So with the British economy weakened by the austerity budget, our economy is more exposed to high food, energy and commodity prices (inflationary pressures)and in a weaker position to take advantage of growth of the world economies. We have to break out of this downward spiral, it is time for the alternative. Talking to a business man today, I asked him if it was snow that had affected his end of year sales. He told me "it's people, they simply do not have money in their pockets". I look at the Observer today and the governments own figures suggest that personal debt is going to be 15% higher than they first projected. It looks like the average debt of a British family will be £77,309 by 2015. This shows far from tackling debt, the Chancellor is passing debts onto individuals. The VAT rise in January was not about deficit reduction, it was to fund tax cuts to corporations such as banks, the chancellor claimed this would stimulate the private sector, however this put fuel up by 3pence a litre, utilities costs continue to rise. There is no sign of improvement in wages and income has in real terms shrank by 5% in the last three years, with anticipated income to grow 1.3% in the next four years, with inflation showing no signs of flattening, we can expect inflation to remain high for a while yet. The confidence required for growth is not there, people have battened down the hatches expecting the April Cuts to public services and tax rises and reductions in benefits, the Conservative led government has chosen it's course, it's hurting and economy is in flux, this experimental economic policy has forced growth backwards, it's depressed confidence, personal debt is rising, unmemployment is rising, job insecurity is rising. So all in all it looks bleak.